Because of Dr. T.G. Khan’s extensive experience using lasers, getting your Laser Tattoo Removal at Edgewater and Hoboken Cosmetic & Laser Centers is an excellent choice over the tattoo removals offered by dermatologists, skin surgery centers, and using topical remedies at home such as Wrecking Balm. You have a higher chance of having poor results and scarring by using inferior technologies and expertise. On the other hand, Dr. T.G. Khan is highly trained and has over 10 years of experience in the use of cosmetic lasers for everything from tattoo removal to hair removal, spider vein reduction, and skin resurfacing and tightening. 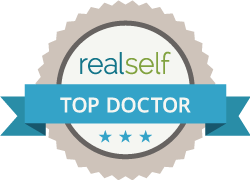 His extensive experience paired with his comprehensive training in non-surgical cosmetic procedures ensures that Dr. T.G. Khan is able to offer you the best Laser Tattoo Removal experience possible as well as any complementary therapies that could help you leave the past behind and create a whole new you. So now that the memory has faded, call Edgewater and Hoboken Cosmetic & Laser Centers today at 201.313.8899 to set up an initial consultation.